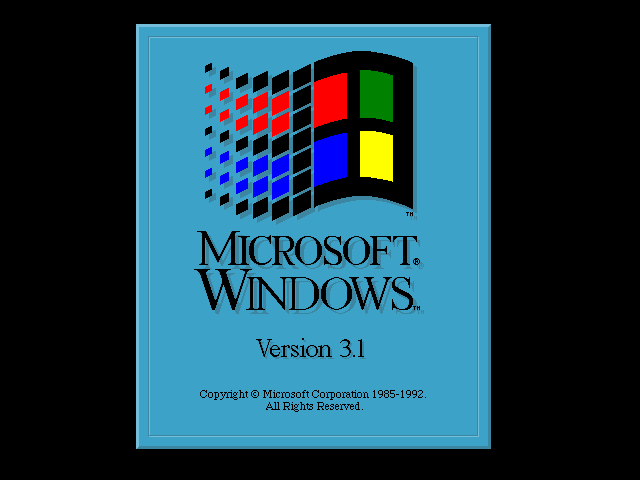 Microsoft Windows released Windows 3.1 on April 6, 1992. This was the first version of Windows that Microsoft really designed for gaming applications and was available to purchase at retail. (Windows 3.00a with Multimedia Extensions was available from OEMs). Windows 3.1 main draw was its support for multimedia, essentially sound cards, MIDI devices and CD-ROM audio. Unlike the text command line parser of DOS, Windows was a graphical operating system with nary a command prompt in sight. Most control was accomplished using a mouse. For the first time users could easily access more than one program on a PC through the task switcher because the operating system was built for multitasking. 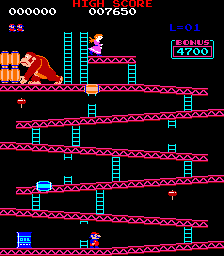 Donkey Kong's historical importance cannot be understated. The huge international success of Donkey Kong was closely tied to the rise of Nintendo as a force in the video game industry. It also marked the first of many masterpieces by Shigeru Miyamoto. It also made important legal precedent with Universal City Studios, Inc. v. Nintendo Co., Ltd., 746 F.2d 112 (1984) giving games more freedom to take inspiration from popular culture without risking being sued. The game was widely ported and the NES version is very good, especially in the Original Edition version released by Nintendo with all four stages at times for the Wii and Wii U Virtual Console. In the final entry in what has turned to cover way too much blog space, I am giving my reasons why I cannot recommend the NES Classic Edition (CE). The CE has a lot going for it, an attractive price, a cute look, the official throwback factor, 30 classic games, a good replica controller. But it has a few downsides. The first is obvious, the cables are way too short. They are only 2.5' long. An original NES controller is over 6' long. If you want to play with the CE while sitting on the couch, you will need either a long HDMI cable or controller cable extenders. A 25' HDMI cable will run you about $15 on Monoprice, but the controller extensions coming out for the CE run $10 each. If you want to play a two player game, that is another $10. Ultimately, the problem can be fixed, but the fixes will turn a $60 device into a $90 device. The second is equally obvious, the console is not upgradeable. When you finish playing those 30 games, what then? It will be back to the Virtual Console. Want to play Mega Man 3, Castlevania 3, Startropics 2, Ninja Gaiden 2, Contra or Tecmo Super Bowl? You may have to wait for something like the CE 2.0 Edition. Given that Nintendo included virtually all its first party classics in the existing CE, the game lineup in the CE 2.0 would prove interesting to say the least. When Toho first began offering their Godzilla films for release for U.S. markets, it would supply a copy of a Japanese print. The U.S. distributor would then make whatever edits and additions it deemed appropriate, dub the film into English and release it. Typically the print would be sent to the U.S distributor without text credits, leaving the inclusion of credits to the local distributor. However, by the mid 1960s Godzilla and other Toho films were increasingly offered in two versions, a textless version suitable for alteration and an International version which could be put into theaters or on TV immediately. International versions could be sold to other English-speaking countries or non-English speaking countries where it would be easier to dub the film into the local language by translating English instead of Japanese. An International version of a Godzilla film is characterized by several features. First, the Japanese credits are translated into English. The typeface used will invariably be white. Second, the film will be distributed uncut from its Japanese version. Third, the film will be dubbed into English in Tokyo (until 1972) or Hong Kong (1972-2004). International versions were deemed appropriate for the TV and home video markets, but more quality-conscious distributors like American International Pictures, New World Pictures and Sony Pictures decided to commission new dubs for the films they released theatrically.